High-Definition transcranial Direct Current Stimulation (HD-tDCS) is a transformative technology for targeting cortical and deep brain structures with weak DC currents. Unlike any other neuromodulation technique, HD-tDCS is non-invasive, targeted, and can leverage the therapeutic potential, convenience, safety, and cost-advantages of tDCS. Soterix medical is the exclusive manufacturer and provider of HD-tDCS technology. Soterix Medical High-Definition transcranial Direct Current Stimulation (HD-tDCS) is a non-invasive technique where brain regions are targeted using arrays of electrodes on the scalp. In contrast to conventional tDCS, which uses large sponge electrodes, HD-tDCS uses our exclusive Soterix Medical “High-Definition” small gel based electrodes. 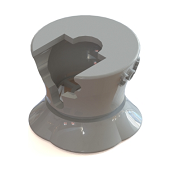 This proprietary technology is the only hardware that allows safe and tolerated passage of current through small electrodes on the scalp, as validated in clinical trials. HD-tDCS provides users with tremendous flexibility in determining brain targets through the use of Soterix Medical Neurotargeting Software. Fully integrated with every HD-tDCS hardware system, Neurotargeting makes optimized and individualized therapy as easy as a push of a button. The only hardware validated for safe and tolerated stimulation in multi-center clinical trials. Other technologies and devices marketed for “small electrode transcranial stimulation” are not endorsed by Soterix Medical and are counter-indicated for use with any Soterix Medical stimulator or software, including 4x1 HD-tDCS. Soterix Medical is committed to the advancement of rational non-invasive neuromodulation through application of the highest scientific and medical standards. Exclusive Neurotargeting Software for dose optimization. Given the flexibility of HD-tDCS, with independently controlled electrodes deployed anywhere on the head, software that allows simple and optimized set-up is critical. Soterix Medical developed Neurotargeting Software exactly for this purpose including a range of exclusive features all designed to make dose optimization for your clinical trial simple and convenient. Conduct clinical studies with state-of-the-art control and safety features. Soterix Medical developed HD-tDCS and clinicians trust our team of scientists and biomedical engineers to ensure every HD-tDCS devices is designed and manufactured based on the most state-of-the-art evidence and techniques. Soterix Medical is the industry standard for non-invasive brain stimulation and nowhere is this more important than in HD-tDCS. Provide for simple and comfortable set-up and stimulation. Usability and simplicity underpin every Soterix Medical device and HD-tDCS is no exception. We recognize that state-of-the-art neuromodulation tools are only as effective as they can be understood and controlled by operators. Our human factors engineers review every aspect of HD-tDCS stimulator and accessories to ensure that advanced neuromodulation does not come at the cost of complexity in use. Our unparalleled customer support ensures you have all the guidance and support, when you need it. Exclusively from Soterix Medical, HD-tDCS is the only clinically validated system for non-invasive and targeted neuromodulation. Do not be compromised by un-tested copycat devices. Soterix Medical's unmatched team of biomedical engineers and scientists is ready to support you to deploy the right HD-tDCS system for your application. High-Definition transcranial Direct Current Stimulation (HD-tDCS) was invented at The City University of New York with the introduction of the 4x1 HD-tDCS montage (Datta 2009). The 4x1 HD-tDCS montage categorically transformed the possibilities with non-invasive neuromodulation by allowing precise targeting of cortical structures. How focal is 4x1 HD-tDCS? The region of current flow is circumscribed by the area of the 4x ring, such that decreasing ring radius increases focality. Soterix Medical Neurotargeting software makes HD montage design fast and easy, but the innovation did not stop there. Scientists went on to demonstrate that 4x1 HD-tDCS allows for unifocal stimulation, meaning the polarity of the center 1x electrode will determine the direction of neuromodulation under the ring (Villamar 2013). 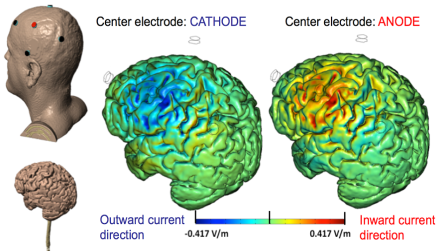 This is in contrast to conventional tDCS where the need for one anode and one cathode always produces bidirectional modulation (even when an extra-cephalic electrode is used). 4x1 HD-tDCS thus provides the ability not only to select a cortical brain region to target, but to modulate the excitability of that brain region with a designed polarity without having to consider return counter-electrode flow. A critical question given the targeting of 4x1 HD-tDCS is “when is focality desired?” There is no simple answer to this question but is it important to recognize that most conventional tDCS approaches produce current flow through >50% of the brain including deep brain structures and that with conventional tDCS inter-individual anatomical difference means the location of peak brain electric field will vary widely. Therefore, by guaranteeing peak brain electric field at the target and restricting brain current flow to a limited region, 4x1 HD-tDCS confers some theoretical clinical benefits. 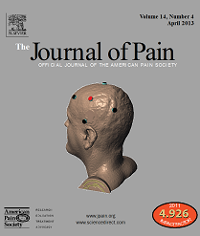 In ongoing clinical trials, 4x1 HD-tDCS has consistently produced effects size comparable or exceeding alternative neuromodulation protocols, including in control of experiment and clinical pain (Borckardt 2012, Villamar 2013). More striking, in a direct comparison with conventional tDCS, Nitsche and Paulus demonstrated that 4x1 HD-tDCS produces change in brain excitability that significantly exceeds both the magnitude and duration of conventional tDCS (Kuo 2013). 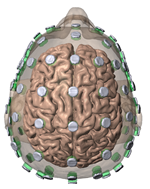 There is only one electrode design that has been engineered for HD-tDCS, validated in extensive clinical testing, and used in clinical trials. The High Definition electrode was designed at The City University Of New York (Minhas 2010) and been proven safe and well tolerated in multi-center clinical trials (Borckardt 2012, Villamar 2013, Kuo 2013). It is critical investigators do not attempt multi-electrode stimulation with non-validated “off-brand” devices under the assumption these approaches have any relevance to Soterix Medical HD-tDCS technology or clinically validated approaches. Use of off-brand electrodes and devices compromise research integrity, patient safety, and interferes with the rational development of HD-tDCS by the research community. ❹ Arbitrary HD electrode placement. Number and precision. 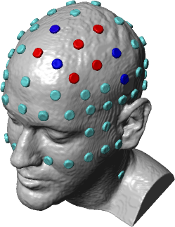 In advanced neuromodulation design, software and hardware that allow arbitrary placement of HD electrodes on the head is required. Precision of montage matters critically, which is why stimulation software and supporting hardware must provide user with flexibility and precision in control. Don't be confused by copycat hardware and software that provides neither flexibility nor precision. State-of-the-art neurotargeting software and hardware, with flexibility and precision, exclusively from the industry leader in non-invasive electrical stimulation, brought to you by Soterix Medical. MxN HD-tDCS is the most advanced non-invasive neuromodulation system enabling full control of electrode placement & current. Intelligently converts conventional stimulator to 4x1 HD-tDCS. The most economical and scalable solution for HD-tDCS. A dedicated device for the most common HD-tDCS deployment: 4x1. The best balance of portability and convenience. Flexibility of choosing 4 or 8 channels, based on your application. Complete control over current with indication of actual current supplied at the moment. Compatible with our revolutionary neurotargeting software: HD-Targets and HD-Explore. Continuous visual indication of electrode quality before and during stimulation. Stimulation duration can be adjusted on each session using a simple dial. Easy adjustment of stimulation intensity. Pioneering Technology. Designed for the most advanced neuromodulation. The most common HD-tDCS deployment. 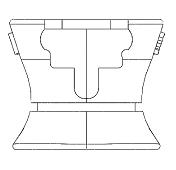 With option to select a center anode or cathode. The 4x1 HD-tDCS Adaptor can be integrated with any of Soterix Medical 1x1 devices using specialized cables. Allows the clinician to use a simple sliding bar to transiently decrease the current from the pre-set value, for example based on subject feedback. Each Soterix Medical HD-tDCS feature was developed by our team of biomedical engineers consulting closely with leading clinical centers. Designed to simply set-up, provide intelligent warning of a fault condition, and allow for adjusting for patient comfort , these features facilitate reliable and tolerated HD-tDCS. The Soterix Medical SmartScan™ feature is central in all HD-tDCS and tDCS devices to allow reliable set-up and monitoring. From pre-stimulation set-up, to during stimulation monitoring, to post-stimulation confirmation, the Soterix Medical SmartScan™ feature provides an intuitive and clear indication of electrode contact quality. Use the SmartScan™ during set-up to adjust electrodes and head-gear for optimal fit. During stimulation, SmartScan™ provides a constant indication of electrode quality and can be monitored during adjustments (e.g. addition of saline to drying electrodes). After stimulation, SmartScan™ confirms a successful trial. Because “resistance” is not meaningful for HD-tDCS, SmartScan™ was developed by Soterix Medical engineers to provide clinical investigators with a simple to read indication of contact quality. What other devices promise, the Soterix Medical HD-tDCS delivers. The back-lit display can be monitored during stimulation ramp up and to confirm target current intensity is achieved. An exclusive technology from the trusted leader in neuromodulation, Soterix Medical HD-monitor is an intelligent oversight system that provides continuous monitoring of current flow conditions and can engage automatic ramp-down should unusual performance be detected. HD-tDCS is the most advanced non-invasive neuromodulation system, providing tremendous flexibility to operators. HD-monitor provides a further level of automatic over-sight before, during, and after stimulation. No other multi-channel stimulation systems is engineering to allow for scalability. The exclusive SCALABLE features integrated into every MxN device allows operators to feel comfortable knowing they can begin HD-tDCS with the most economical option without losing future scalability. 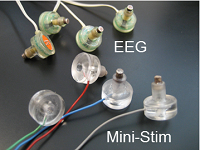 Multichannel stimulation devices are only as customizable as the software used to design montages. With independent current control at each electrode with MxN devices, device power and flexibility requires intelligent montage design software. Neurotargeting software is the exclusive Soterix Medical solution to montage design and our HD-tDCS stimulator integrates seamlessly. Clinicians and scientists trust Soterix Medical engineers to provide the modeling and software sophistication to fully leverage HD-tDCS. Optimized for the 4x1 HD-tDCS montage. The 4x1 HD-tDCS montage remains the more popular and validated montage for unidirectional targeted brain neuromodulation. Devices optimized for 4x1 are designed to allow simple and consistent set-up including in high throughput clinical trials. Simple to use and designed by the inventors of 4x1 HD-tDCS, do not be confused by copycats and compromise the integrity of your trial and safety of your subjects. Soterix Medical Inc. (SMI) 4x1 certification is indicated on all validated 4x1 devices. *All MxN devices can provide 4x1 stimulation in addition to arbitrary configurations. Tickle™ may be used to both condition skin prior to tDCS or for naïve subject anxious about stimulation. A custom on-off waveform pattern generates mild and brief sensation under electrodes. Based on feedback from leading clinical centers, Soterix Medical developed the exclusive feature Relax™, which accommodates subjects who may be anxious when stimulation is initiated or during the course of stimulation. The Relax™ slider may be adjusted from full to reduced intensity based on subject perception without interrupting or aborting stimulation. To understand the Soterix Medical's OpenPanel interface, one needs to consider how HD-tDCS are applied in the best clinical and academic centers. The risk of relying on a wireless connection with a computer to control and monitor the device is not acceptable. Similarly, complex and hidden drop-down menus create inherent risk in programming mistakes. A single mistake can compromise subject safety and the integrity of an entire clinical trial. For medical grade equipment, device status and subject monitors should be clearly visible on the device display. Soterix Medical devices, including features such as OpenPanel, are chosen when patient tolerability and trial integrity cannot be compromised. Avoid confusion and mistakes. Save time. HD-tDCS devices can be programmed in seconds with simple switches and controls. With stand-alone HD-tDCS stimulators, there is never a need to use a personal computer for interface. This reduces your cost, complexity and potential errors. Easy to read displays, even at a distance and even in reduced light conditions, means you always can monitor stimulation status. In advanced neuromodulation, one size does not fit all. Display and control items are minimized to what you need. Clarity and simplicity without compromise. A single programming error undermines reproducibility and safety of an entire trial. OpenPanel reduces errors even under multiple-user or high-throughout conditions. No risk of computer or connection failure leading to loss of device control. Risks associated with computer failure (e.g. during a software update) are avoided. Device settings and current state are always visible to their operator. Intelligent SmartScan testing provides early warning of poor contact conditions. Devices prevent current transients even under unexpected conditions such as sudden re/dis-connection. 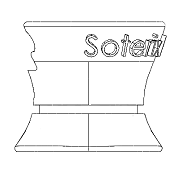 Soterix Medical is the trusted leader in HD-tDCS by designing safety factors for the unexpected. In developing the HD-tDCS™, feedback from leading clinical centers was clear: HD-tDCS must be simple to program and stimulation status must always be apparent to the investigator. With easy-click control knobs to set stimulation duration and intensity, and backlit status displays visible in dim or bright room light, the Soterix Medical Open-Panel™ design takes the guess work out of tDCS. No drop-down menus. No hidden settings. Design for simple and clear clinical trials with Soterix Medical Open-Panel™. Designed for simple and clear clinical trials with Soterix Medical Open-Panel™. Optimization of electrode montage for brain targeting and individual subject customization has never been as easy as with Soterix Medical's Neurotargeting software. 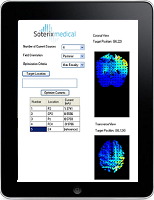 With recognition that placing an electrode "over" a target dose not support rational tDCS dose design, the Soterix Medical Suite of software tools allow simple and automatic optimization. Soterix Neurotargeting software also provides high-resolution current flow visualization that can be used to support publications, presentation and proposals. With increased interest in the use of monitoring, such as EEG, PET, MEG, Eye-tracking, NIR and fMRI in conjunction with Soterix tDCS and HD-tDCS, Soterix Medical remains the only company with the technology and expertise to ensure successful integration. Stimulation generates artifacts in all monitoring modalities including fMRI (Antal A et. al 2012), such that use of technically compatible devices without also integrating rational trial design, can lead to errant findings. Technology-informed integration of tDCS with monitoring technologies such as EEG, PET, MEG, NIR, fMRI, and eye tracking, is essential. tDCS⁺ is a free service to every Soterix Medical tDCS and HD-tDCS user. Soterix Medical tDCS⁺ leverages the experience of our clinical partners and our unmatched biomedical expertise, and is open to cross-platform compatibility so that you can use the monitoring technology you want and trust. 4×1 HD-tDCS integrated with EEG.